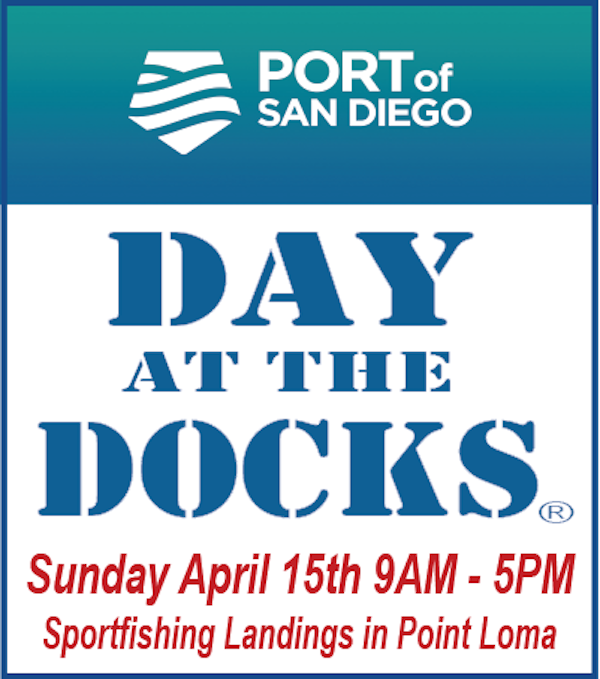 The Port of San Diego's 40th Annual Day at The Docks – FREE West Coast public celebration of sportfishing will take place on Sunday April 14, 2019 from 9 AM to 5 PM. The festival marks the official start of San Diego’s Spring Saltwater Fishing Season and there is no other event quite like San Diego’s Day At The Docks! The event is held against the backdrop of the San Diego’s dynamic sportfishing fleet located in Point Loma at Harbor Drive and Scott Street. The San Diego fleet is unique in many ways - it is the largest assembled sportfishing found fleet anywhere in the world. The boats in the San Diego fleet are some of the most sophisticated, with capabilities of operating trips which in range the fleet are some of the world’s most productive and prolific fish-filled waters off Southern California and the coast of Mexico. The festival attracts families with kids of all ages, members of the general public - many of whom may never have set foot on a boat before or understand the role played by the Sportfishing industry in San Diego, as well as novice and experienced anglers. The day provides the opportunity to discover new adventures, explore the latest in fishing tackle and techniques, walk aboard and tour boats in the fleet, talk with the captains and crews, take a ride on a boat and partake in the many activities planned for the day. Through the years and most recently through social media (especially Facebook) we hear from event attendees comments like: “Always... Love Day at the Docks, my family has been going since it started!”, “Super Fun! My kids caught their first fish at Day At The Docks.”, “It’s is a family tradition. We go every year!”, “I love this event, it always feels like old home week. ", “I hadn’t realize this fleet existed, through Day At The Docks I discovered a new passion for the ocean.”, “I always find great deals on fishing gear.”, “It’s great to be able to talk with the captains and crews on their own turf”. . . Visitors arrive early and stay late. 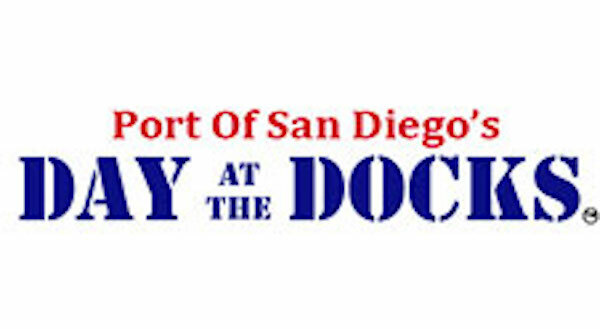 Parking is at a premium around the Landings but FREE parking is available on Shelter Island and FREE round trip shuttle service to and from the festival is offered from 8:30 a.m. to 5:30 p.m.
For complete information on Port of San Diego's Day at The Docks activities and schedules, visit http://www.sportfishing.org.